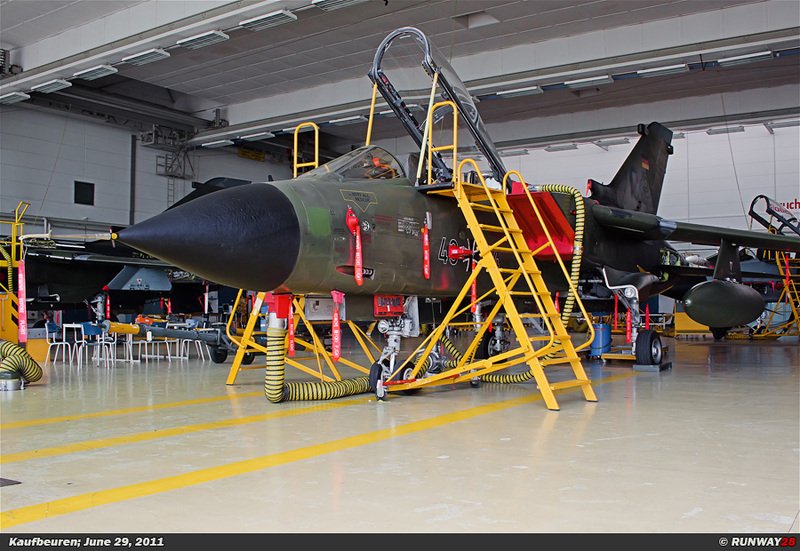 Kaufbeuren Air Base is an airfield of the German Luftwaffe in the southern part of Germany. 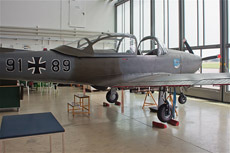 It is currently home to the Technische Schule der Luftwaffe 1 (Air Force Technical School Number 1). 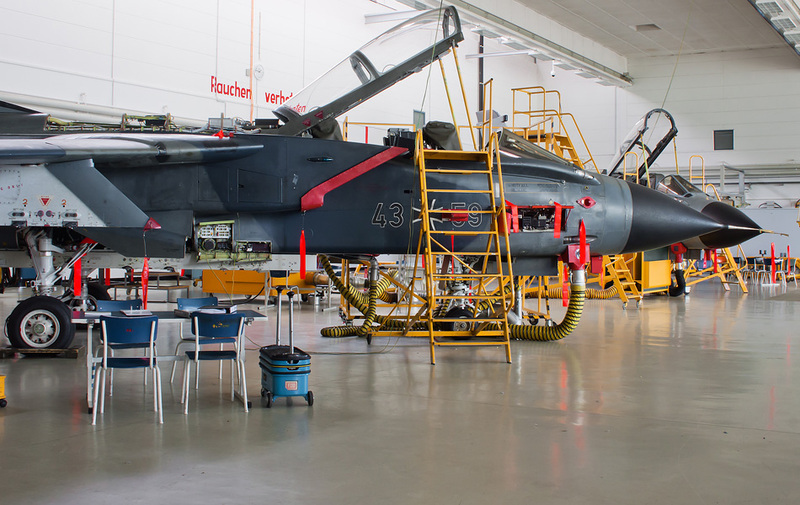 At this school, all technicians are trained to become aircraft technicians in the German Luftwaffe. The airfield was built in 1935 as Fliegerhorst Kaufbeuren. The airfield was quickly seized by U.S. forces right after the Second World War in May 1945. The airfield was initially used by the 225th Anti-Aircraft Searchlight Battalion. 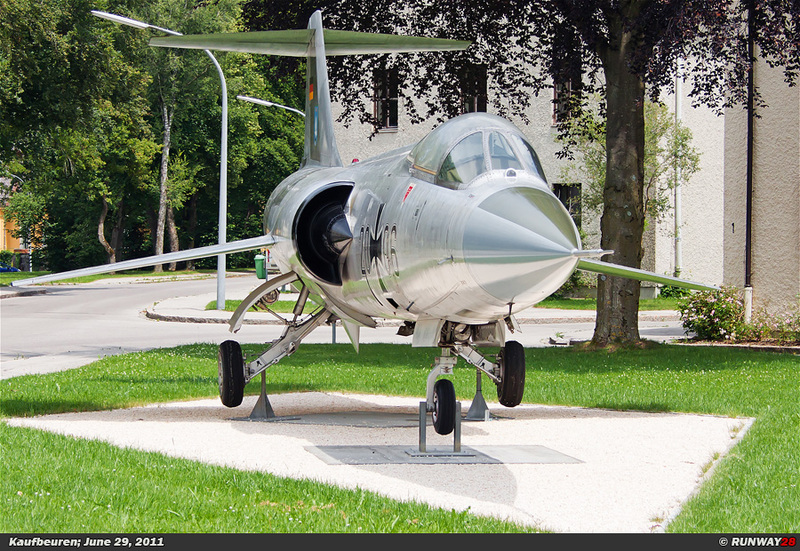 There were at that time no airplanes based at Kaufbeuren. The 45th Fighter Group of the USAAF (United States Army Air Force) was based on the air base from July 22, 1945 until April 28, 1946. This unit was equipped with the P-51 Mustang and had an air defense task. 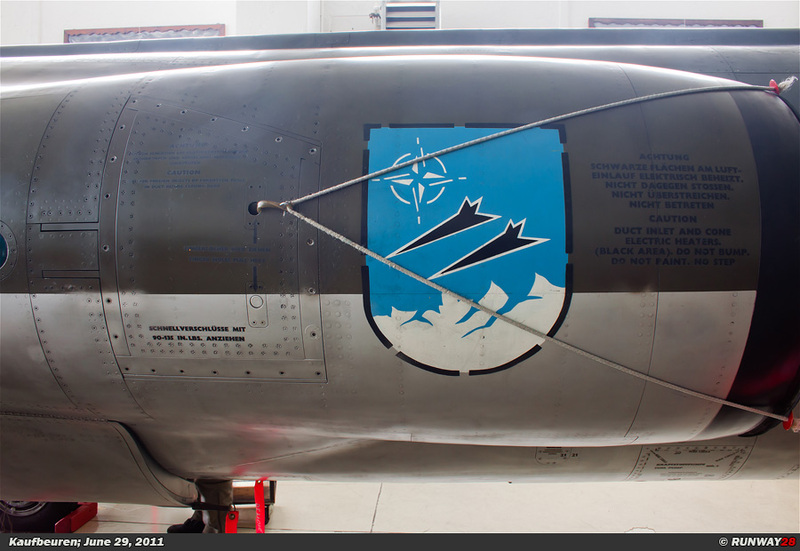 The 60th Troop Carrier Wing was based at Kaufbeuren AB from July 1, 1948, to October 1, 1949. The unit consisted of the 10th, 11th and 12th Troop Carrier Squadron. The Wing was responsible for the airlift to Berlin. In 1948 and 1949, the C-47 and C-54 squadrons from Kaufbeuren AB and Wiesbaden AB had delivered more than 1.8 million tons of cargo to Berlin. 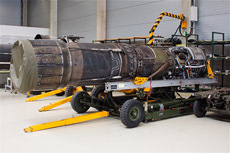 The transport wing at Kaufbeuren AB was moved to RAF Fassberg on January 20, 1949. The wing became part of the 1st Airlift Task Force. 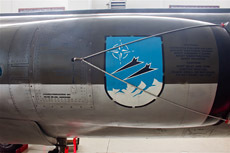 The 60 TCW was moved to Wiesbaden AB when the Berlin airlift ended on September 26, 1949. 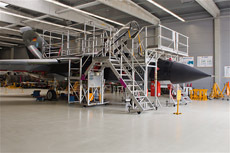 The inactivated 7150th Air Force Composite Wing remained without planes at Kaufbeuren. The operational USAF bases were moved to locations west of the Rhine. Kaufbeuren was therefore disbanded by the Americans. The base was only used as a communication station of the 7320th Air Force Wing. 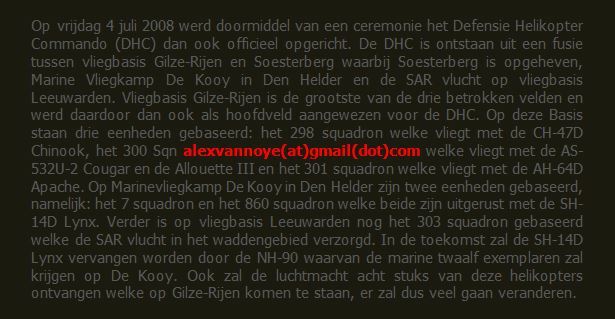 In 1955, the 7330th Flying Training Wing was established in order to train pilots for the reconstituted German Air Force. 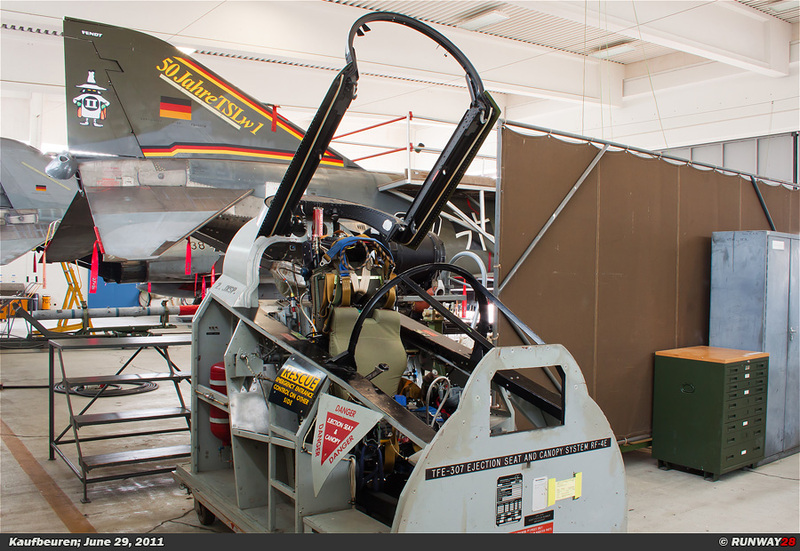 Kaufbeuren became a German base again from December 16, 1957.
practical training takes place through the use of simulators and real aircraft. The permanent staff of the school consists of approximately 650 military and civilian employees. The teaching staff consists of officers, non commissioned officers and civilian employees. 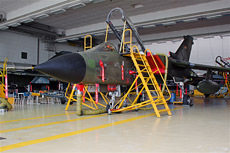 The commander of the U.S. Air Forces in Europe, General Frank F. Everest, gave during a ceremony in Erding to the Defense Minister Franz Josef Strauss the advice to start the training facility in Kaufbeuren on December 14, 1957. Kaufbeuren was the best location to start the training in this area, because it was located between Erding, Furstenfeldbruck, Landsberg and Lechfeld. The preparation for the school began on December 16, 1957. The training of personnel for the Air Force School Weapons started from 1960. 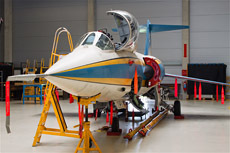 The school was recognized as an electronics training center where people could get national diplomas in avionics in November 1971. 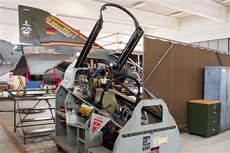 The Technische Schule der Luftwaffe 1 (TSLw 1) was merged with the Technische Schule der Luftwaffe 2 (TSLw 2) in 1994. 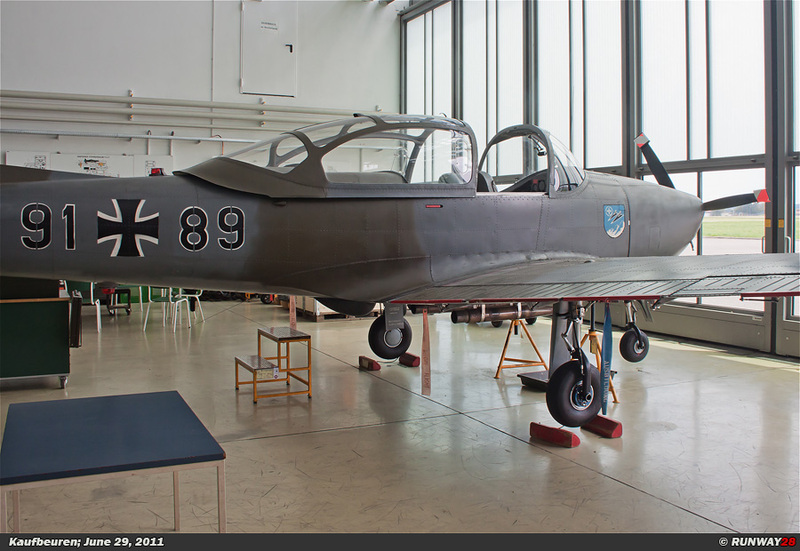 The new technical school was named Technische Schule der Luftwaffe 1 (TSLw 1) and was active in Kaufbeuren. 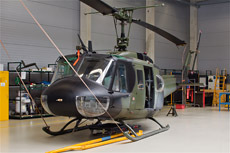 Several parts of the training take place on other bases, such as; Lechfeld, Erndtebrück, Brakel, Auenhausen, Karlsruhe, Laage and Neubiberg. 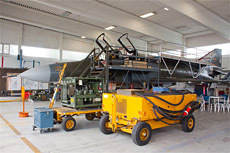 The first Eurofighter landed at Kaufbeuren on February 18, 2003. The training program to train personnel for this type was ready in the spring of 2004. Also the training workshop from Memmingen was moved to Kaufbeuren in 2004. A visit to Kaufbeuren took place in the afternoon after a good visit to Lechfeld in the morning. These airfields are located in the same area in the southern part of Germany. At the beginning of the afternoon I arrived at this training base of the German Luftwaffe. 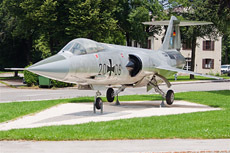 An F-104G Starfighter was preserved on a square at the entrance of the terrain. 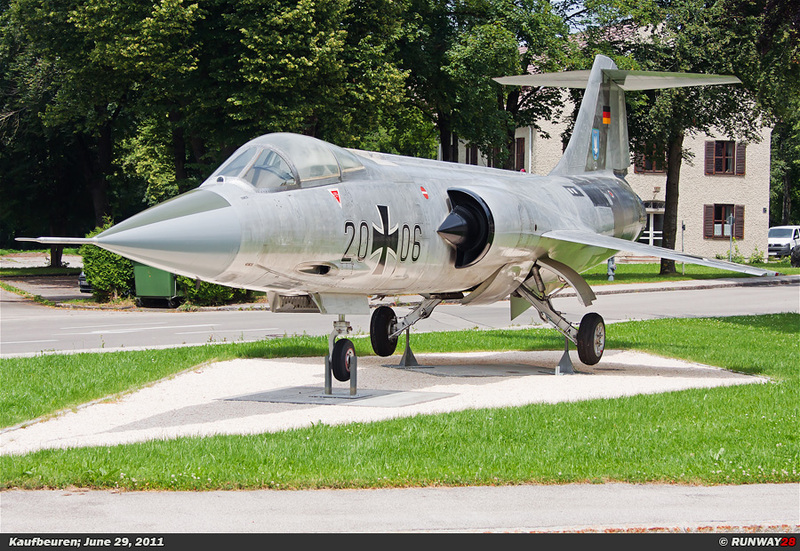 This Starfighter had the original silver paint scheme of this type. 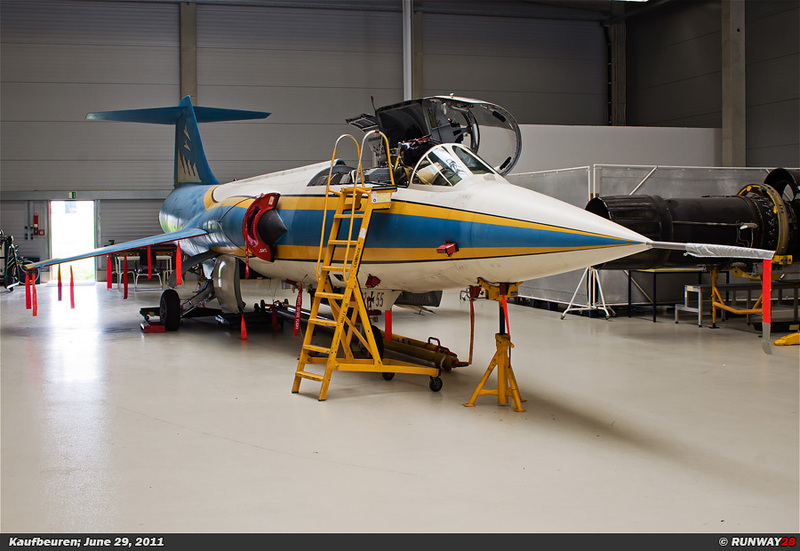 The position of the Starfighter was good and I was therefore able to shoot a few nice photos. Our tour over the airfield could start after a brief introduction with our guide. The first hangar which we entered was the main Tornado hangar. There were a total of 5 Tornados present in this hangar. 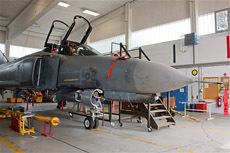 All Tornados are used to train students on this type of aircraft. 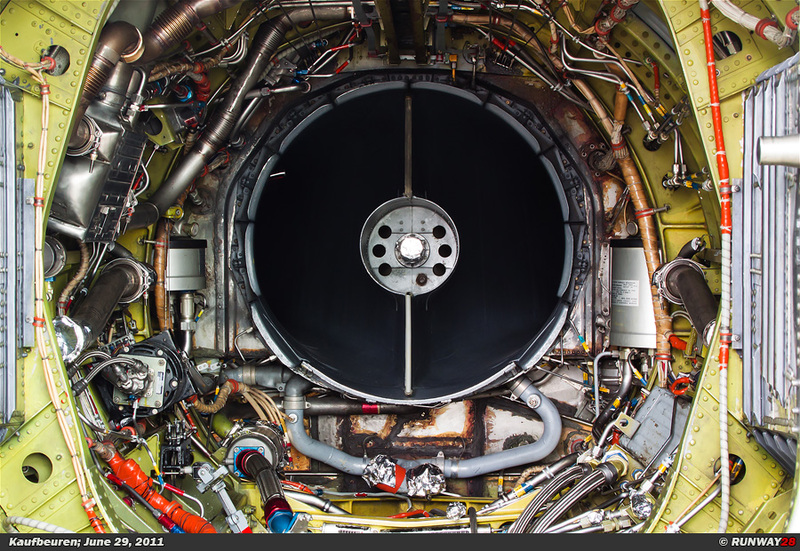 The Tornado is at this moment the most widely used aircraft in Germany. 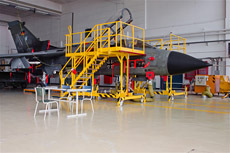 All the Tornados in this hangar were withdrawn from operational service. We walked to the next hangar after a brief visit to the Tornado hangar. This hangar was a lot smaller. A Starfighter and a p.149 were found inside this building. 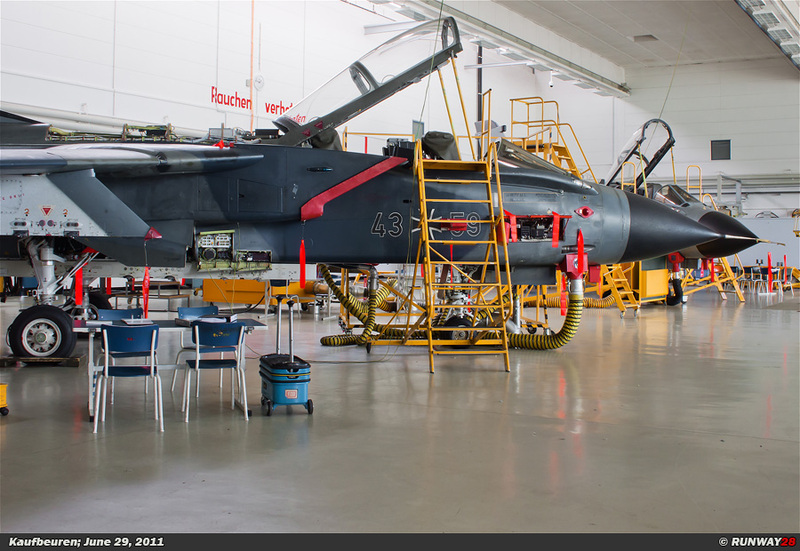 There were also a lot of students working in the hangar. 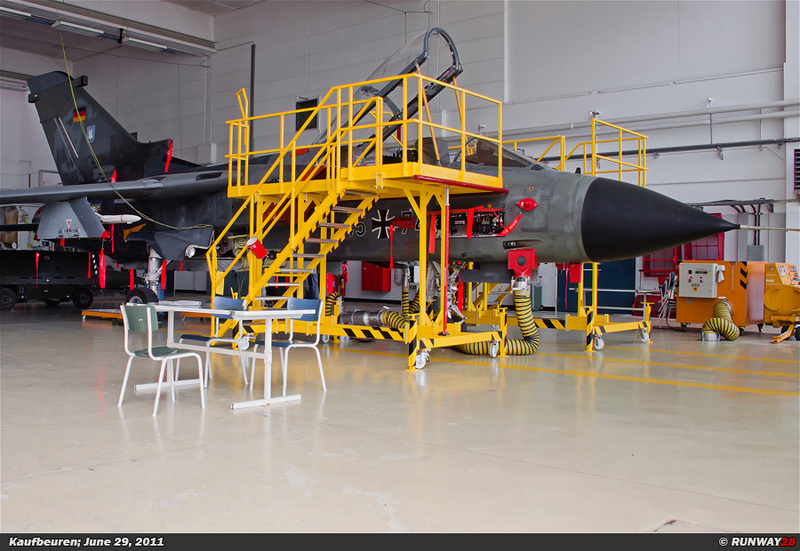 The next hangar which we entered was used for the training of the more experienced students. 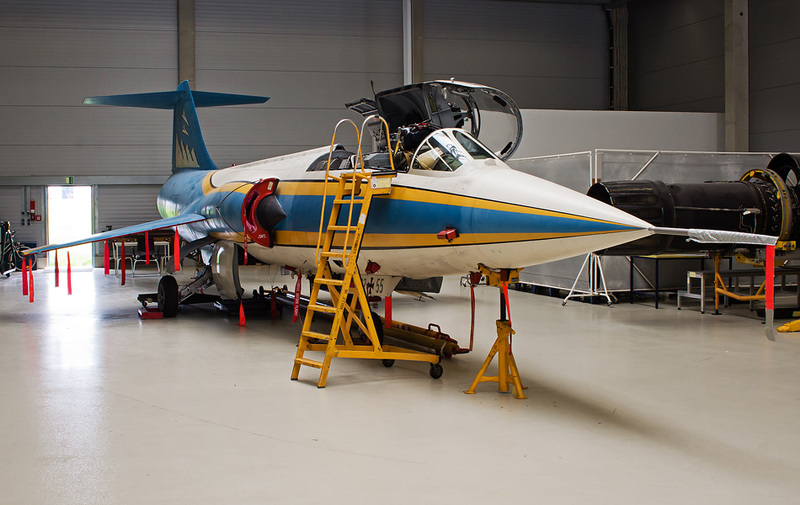 Also in this hall we found a Starfighter. 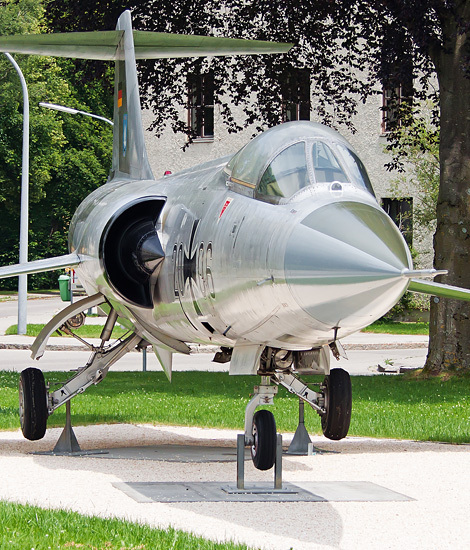 This aircraft was unlike the other Starfighter in a very good condition. 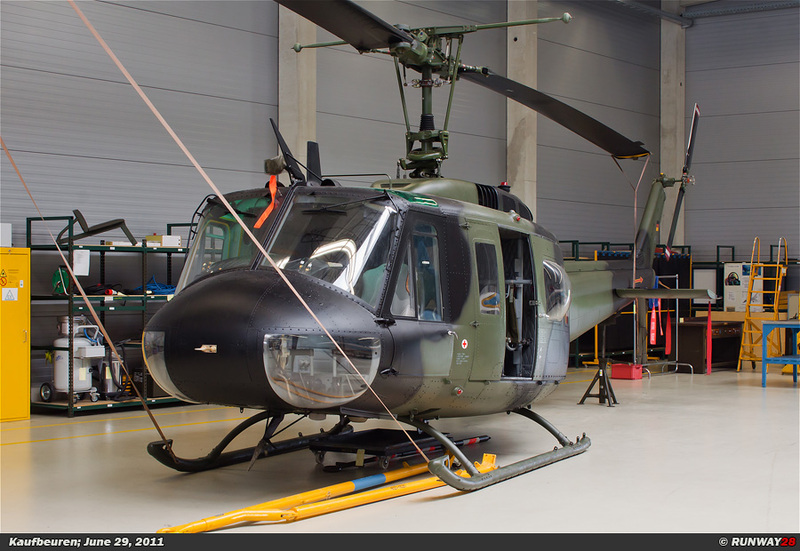 There was besides the Starfighter also a German Huey present in the hangar. This helicopter was also in a very good condition. These aircraft were one of the few machines at Kaufbeuren which were not under construction. There were also 2 Tornados present in the same building. These 2 planes were difficult to catch on photo due to the limited space in the building. 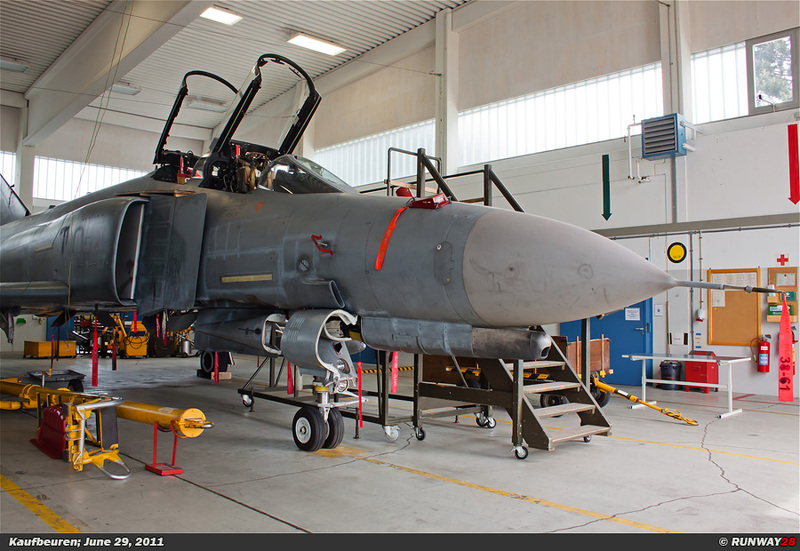 The last hangar which we visited was the Phantom hangar. There were 2 Phantoms in this hangar. A simulated cockpit which was used for training purposes was found in the back of the hangar. The last hangar was the Eurofighter hangar; we were not allowed to enter this building. 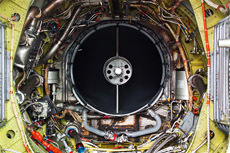 It was forbidden to take photos of the Eurofighters, because hatches were opened on the aircraft. 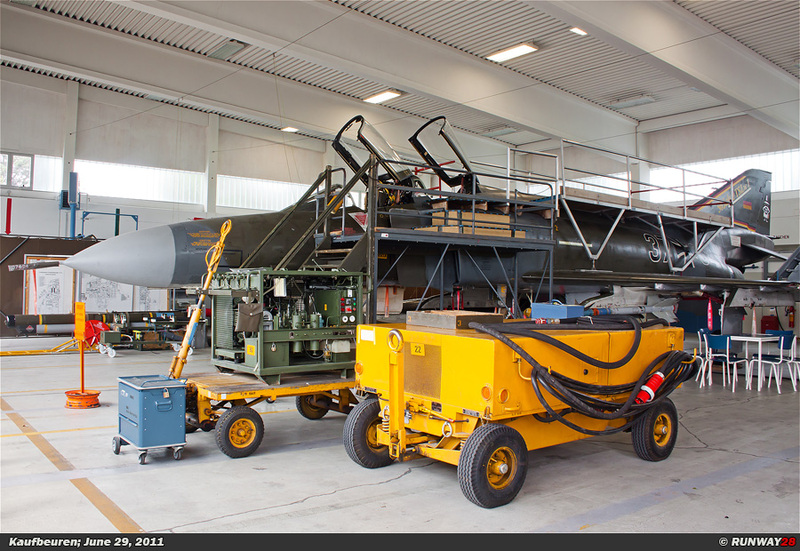 There were a total of 3 Eurofighters within the building; all aircraft are still in operational service. 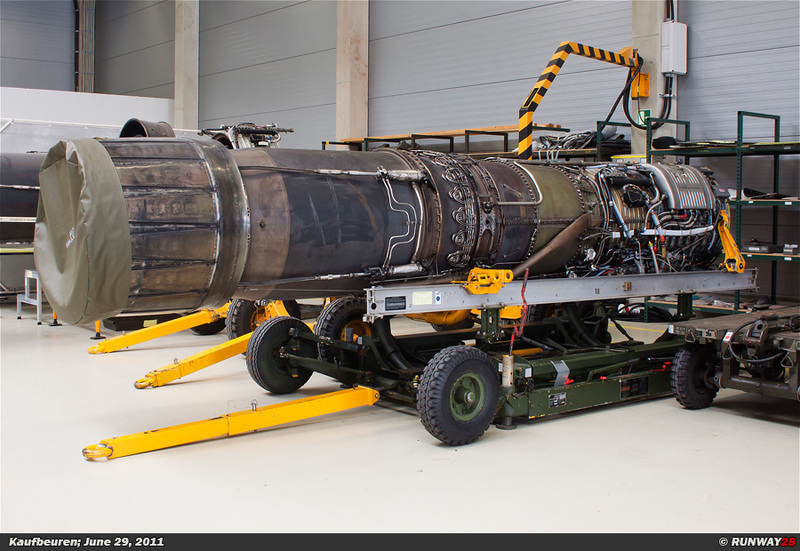 The aircraft will stay for a period of 2 years at Kaufbeuren. 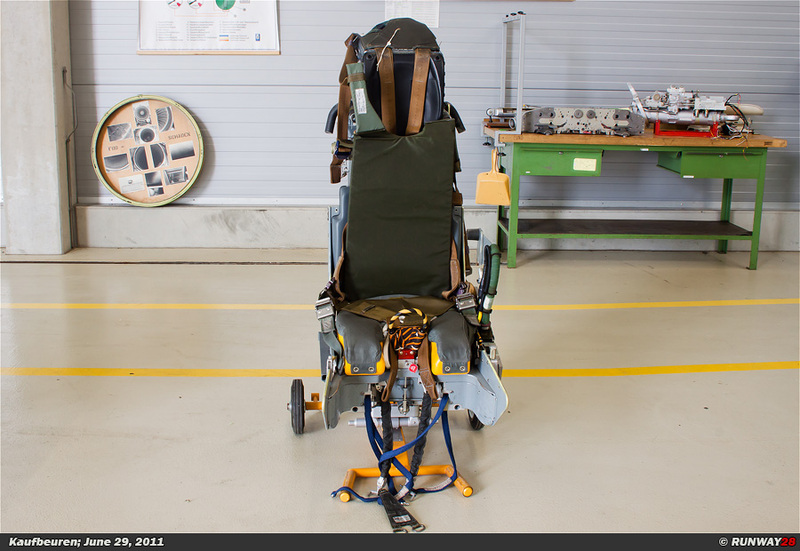 They act as training aircraft for the student technicians. 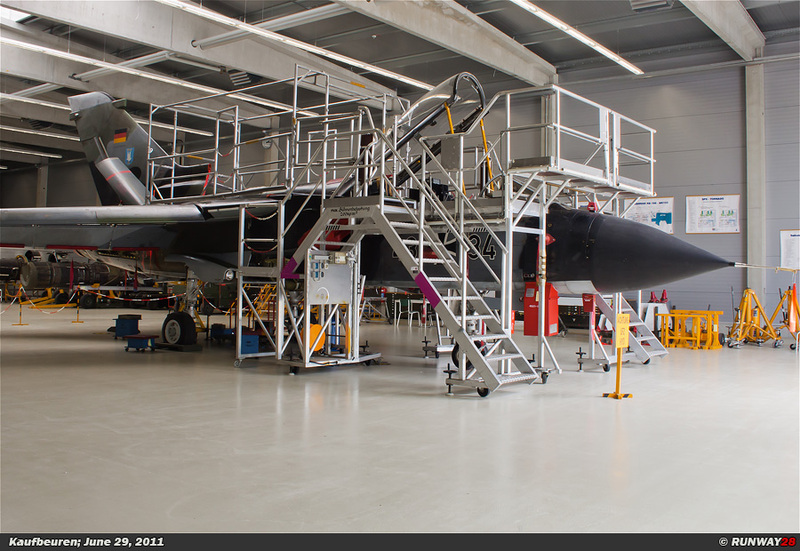 Our visit to Kaufbeuren was over after a short visit to the Eurofighter hangar. This visit resulted in a small number of nice and unique photos of the German Air Force.